Bjorn. 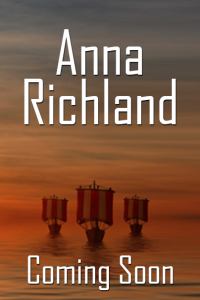 An immortal Viking with an uncanny ability to find sunken treasure and no ambition to leave his perfect island finds a beautiful woman bleeding on his private beach. With a tropical storm bearing down, Bjorn doesn’t have time to return her to the main island, even though he doesn’t believe her convenient amnesia. But that doesn’t stop him from being intrigued by a woman who would take such risks. Whatever she’s up to, whatever she’s selling or seeking, after fifteen centuries, he’s uninterested in going beyond a quick hook-up. Anything more just brings trouble to his paradise. But she’s thrown herself on a former pirate’s mercy for the duration of the storm. Hope. Her name fits the woman pretending to have forgotten how she ended up on the reclusive treasure-finder’s island. The storm should give her the time she needs to search Bjorn’s fortress-like home and locate his notes. If she can pinpoint one shipwreck, one treasure, she’ll secure herself a spot on a new reality television show. And a way out of the slow life, into the fast lane. That’s all she’s ever hoped for. Her plan works. Until Bjorn returns her to the storm-devastated main island’s capital, where Hope’s mother has disappeared, her boss is lying to her and the television crew she wanted to impress is beaten for filming diversions of aid supplies. A chance encounter, a bad choice, and Hope realizes she needs a more worthy life-plan than seeking television fame. Unfortunately her new crusade lands her in the path of the island’s number one offshore money-launderer, a Russian with a side business in human trafficking. Bjorn could walk away from Hope, go back to his quiet beach, to his canned meat and instant noodles, his shelves of journals from his long ago pirate life. He could bask in the sun and watch the silent baby turtles emerge. Or he could stay in the noisy, crowded, stinking city, spend himself on a useless fight, and probably not even impress the woman for all his trouble. Bjorn’s a Viking. He likes baby turtles, but he loves a fight. This is my work in progress, set at the same time as The Second Lie. Because Ivar owes Bjorn a favor, the leader of the immortal Vikings has to go back and forth between Europe and the Caribbean.